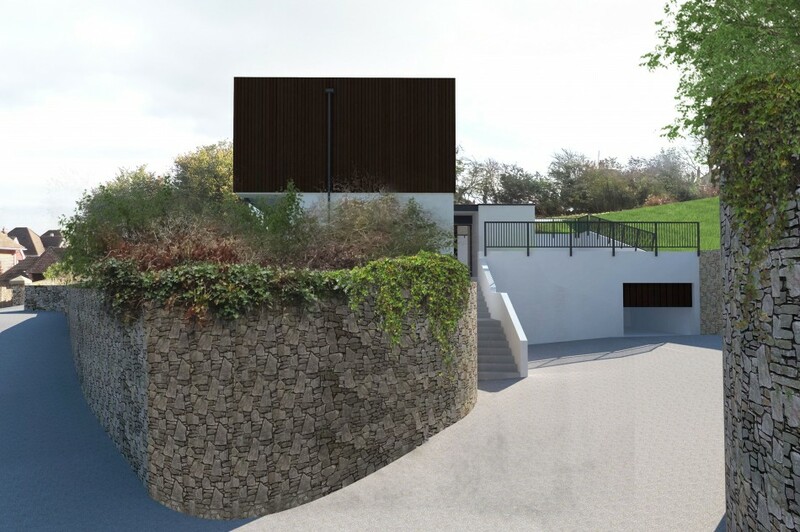 The steeply sloped site for the proposed dwelling is defined by an existing limestone retaining wall. 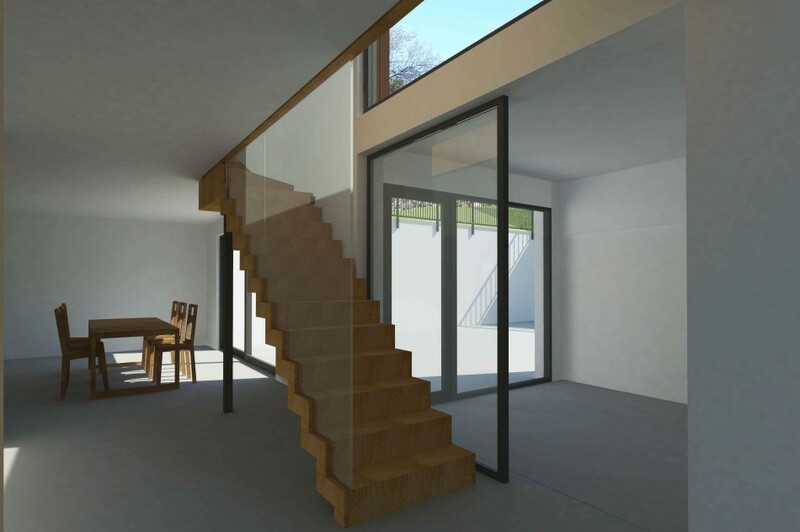 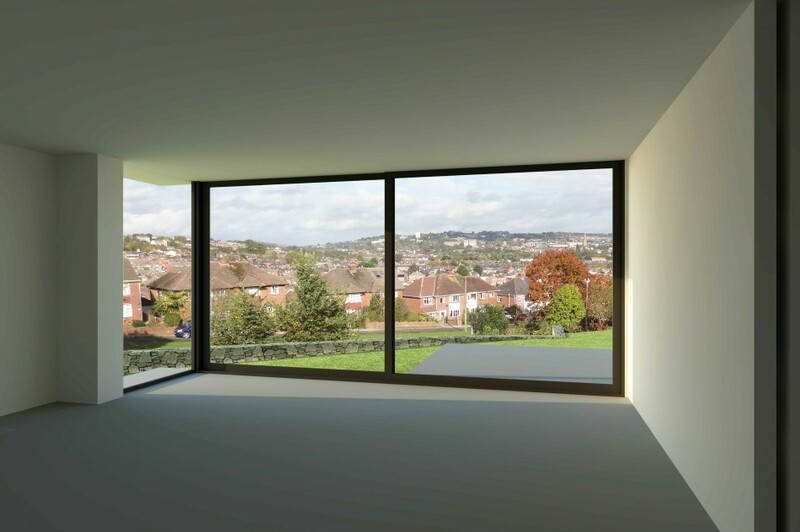 In order to facilitate vehicle access and a strong connection to the raised site the proposal is for three floors, comprising; a ground floor with garage and entrance hall; an open plan first floor with living room, kitchen/ diner with level access to the North facing garden with distant panoramic views of Exeter; and the second floor with 3 bedrooms, one bathroom and ensuite with access to the South facing elevated garden. 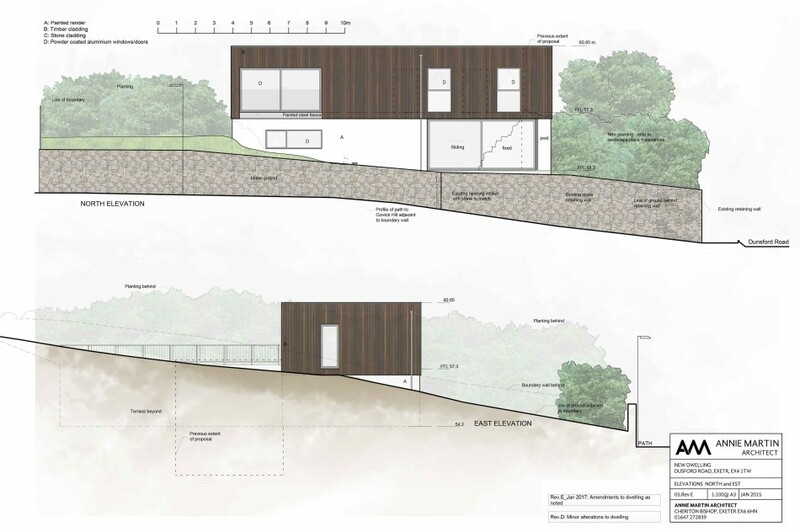 The dwelling is built into the contours of the site and the levels remain largely unchanged beyond the footprint of the building. 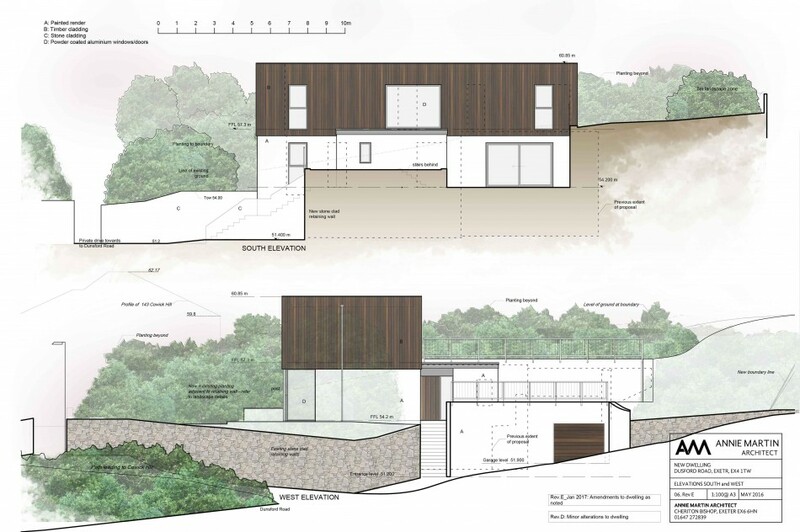 From Dunsford Road and the Northeast the dwelling appears as a two storey dwelling and from the Southeast the dwelling as a single storey. 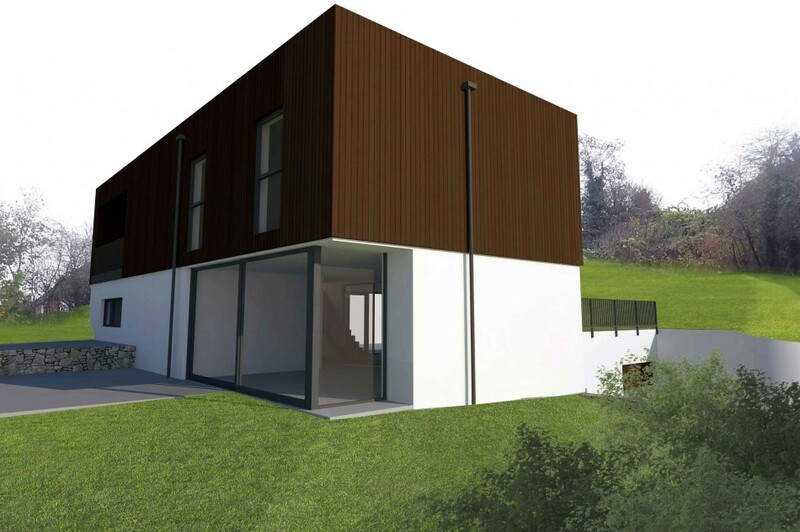 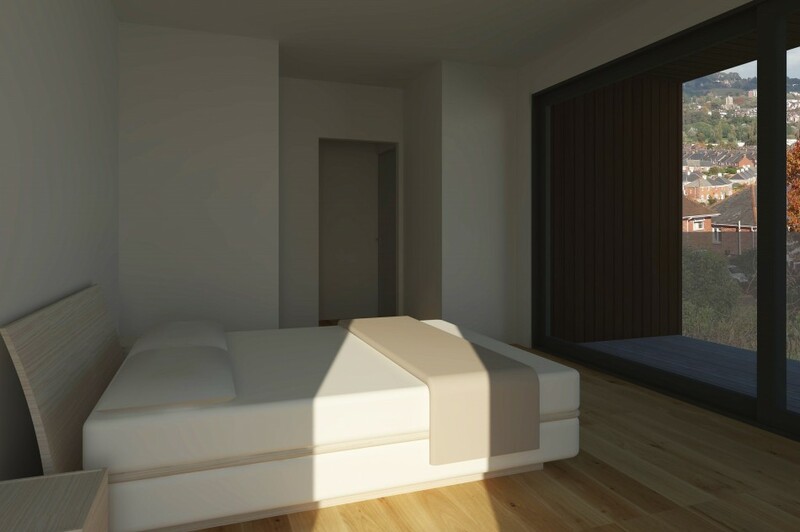 It is a site that warrants a contemporary approach having no immediate neighbours and set on its own within the plot. 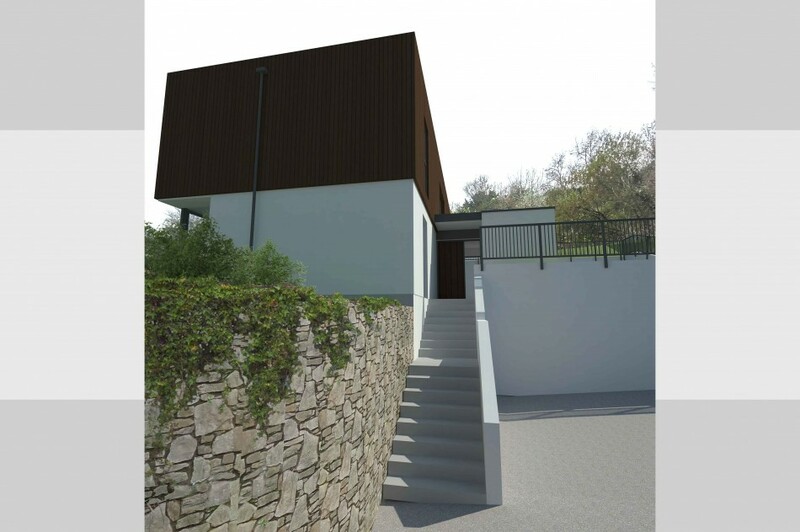 A simple palette of materials: limestone; painted render; timber cladding and dark grey aluminium windows ensure the dwelling is discrete and sits comfortably within its setting. 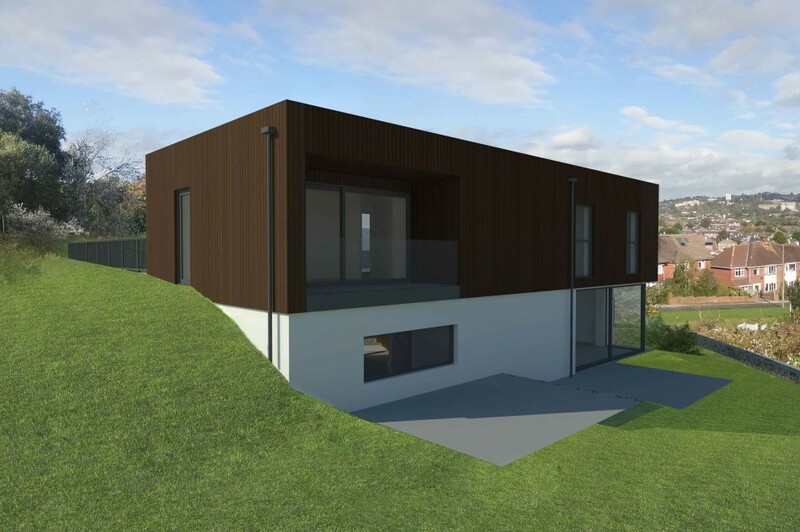 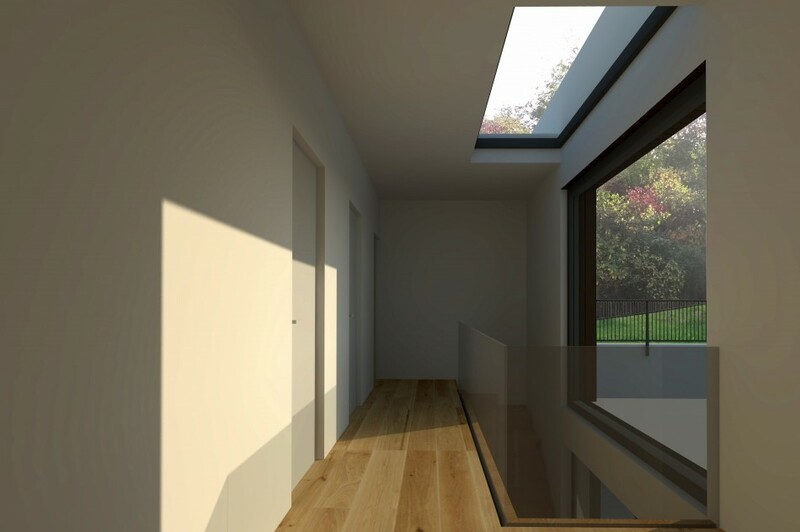 A flat roof allows the external walls to be kept simple, the ridge to be kept low and solar panels to be set down within the parapet. 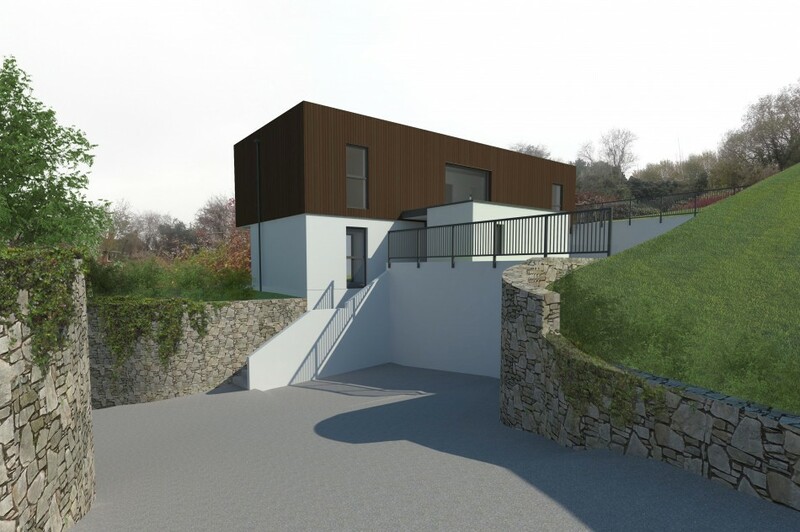 The proposal was granted planning permission and it is expected to start on site later this year.